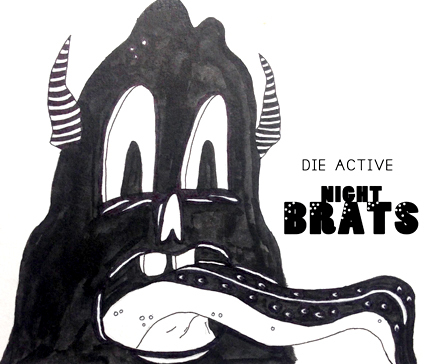 A dirty lil bratty lil exhibition by the Die Active Art Collective. Featuring sculpture, projection and audience participatory works by over 20+ emerging artists. All presented as one multi-media installation for the viewer to get dirty in. This innovative art exhibition builds upon the growing strength/phenomena of the Die Active New Generation Art Collective, now entering into its 9th year of contemporary art activities involving 750+new generation artists. So come get dirty with art! Join us for the Gala Opening Reception and enjoy a ferocity of Art, Music, Performance and a bevy of fresh spring refreshments provided by Sushi Bowl & Sweet Escape Cake Café & Bakery. Artists in attendance! Gallery 3. Show runs May 19th- June 17th, 2017.